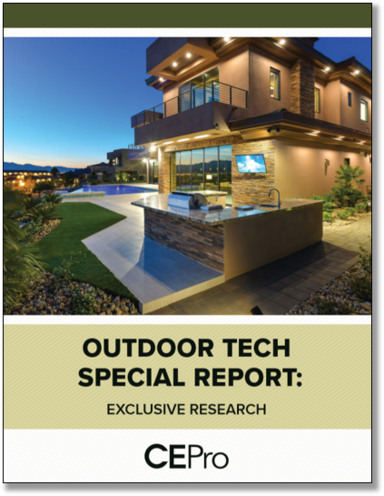 The outdoor technology market is growing – both the demand from customers and the array of products available. According to our recent CE Pro survey, integrators are taking advantage of this opportunity to grow their businesses. Our report also features the most installed brands by product category. Get your copy today and start growing your outdoor tech revenue.